Steel security locks that will automatically lock your doors within 2 seconds. 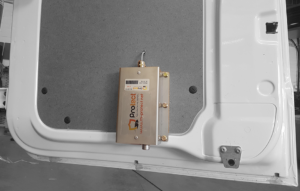 An intelligent drive module connected to professional steel security locks ensure that the loading compartment can only be opened upon your command. In addition to the standard operation through a manual transmitter, you can also work with a key switch and/or PIN. You can configure in a custom-made manner. 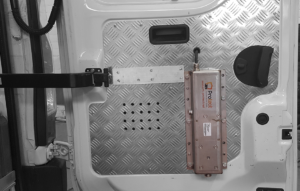 Configurable times of use and when not in use, a weekend clock, time-linked opening of the loading compartment and geo-fence are possible. 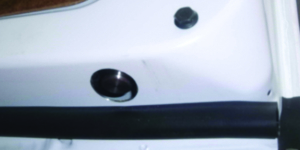 The full unlocking and locking management can be registered through the communication module. In short, the ideal protection and security for all possible loading and storage compartments. 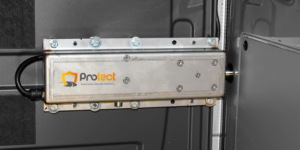 M-protect offers a couple of ways to secure the load of your vehicles against theft. Our solutions are personalized for every company, so we meet everyone’s need. Not sure which solution suits your company best? Contact us and discover the capabilities for your company.